Health Communications Inc, 9780757320484, 144pp. For over four years, Ferm and Tee have been performing to sold-out audiences across the country. The Pump and Dump Show is a fun and rowdy evening of comedy, singing, games, prizes, drinking, cursing and commiseration, with a clear and universal theme: Parenting is screwed up and hilarious, and we're all just doing the best we can. Motherhood is wonderful for many reasons, but moments of clarity are so often outweighed by public outbursts, poison control phone calls and poop (everywhere!) it's difficult to stop and realize that it's not always a direct reflection of our parenting skills. The Most F**ked Up Thing Your Kid Has Done Recently cards. One of the most popular segments of the show, members of the audience write down crazy and memorable things their kids have done. It is hysterical, cathartic, and never disappoints. Stump the Breeder trivia questions. So you think making a person makes you an expert on making a person? Test your knowledge by answering "extremely difficult" questions so you feel like you know what you're doing. Awesome MOMents. Games for moms to play when and if they ever get a night with friends, like: The Parentally Incorrect Drinking Game—If you've done it, you drink. If you haven't done it, you drink. Lies We Tell Ourselves Before We Have Kids. I'll still hang out after the kids go to bed. Yes you will. But not with your friends. With a glass of wine to help you forget the smell of spit up. Shayna Ferm and Tracey Tee are the creators, writers, producers, and stars behind the highly acclaimed, long-running, moms' night out of irreverent music and comedy known as The Pump and Dump Show. The two moms (and lifelong friends) created the show while drowning in their own new motherhood—feeling like all parents deserve a night out, much-needed laughter, and a cocktail. Since its conception (pardon the pun) in 2012, The Pump and Dump Show has grown to become a nationally touring cult hit, and the perfect reason for moms everywhere to gather their #BREEDER friends to celebrate the difficulty of motherhood. 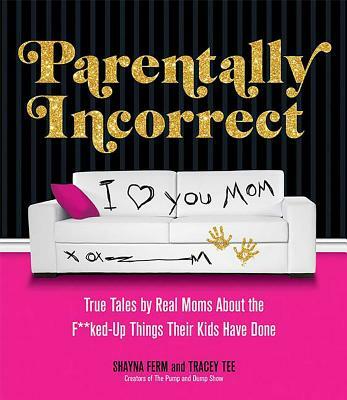 Shayna and Tracey have been featured in Parents Magazine, Scary Mommy, Daily Mail, Huffpost Parents, Popsugar Moms, TheBump.com, Baby Rabies, and The Jenny McCarthy Show.